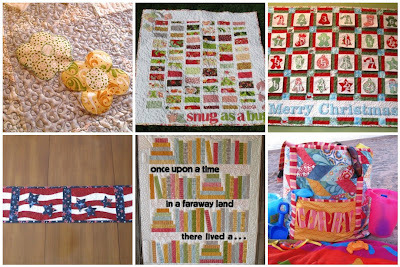 Happy Quilting: Applique Made Easy with Slice and a Giveaway!!! I have owned my Slice for about 4 years now and it just keeps getting better. Slice allows you to cut applique in sizes of 2" up to 4" in 1/2" increments. It takes out all of that horrible tracing and cutting and does the work for you. You just select a design, size, and tell it to cut. Simple!! And there are so many design cards to choose from and all filled with wonderful designs. I have over 20 design cards (I sort of collect them like stamps :) and each card always has a great alphabet (which I use the most) plus some super great images. The card I will be using for this example is the Champion design card. Here's a few projects with applique I have cut using my Slice :) So ya, you can probably tell, I love this machine and use it a ton!!! So, now let me show you how it works. To start, you need to get your cutting surface tacky. You can use the glue that comes with the slice machine but I find the Re-positionable Spray Adhesive to be much quicker and easier. I just spray it on the surface, the same way I would if I were basting a quilt. Now this cutting mat is the larger one used with the Hands-Free Kit, which I like because I can cut more applique without having to re-position fabric as much. The starter kit comes with a 6" glass cutting mat. Now while your mat is getting tacky, you can get the fabric ready. Choose your fabric and cut it into a 12" square, (or a 5-6" if using the smaller mat) Cut a sheet of Fusible Web to the same size as your fabric. Press the fusible side of the web to the wrong side of the fabric. Once it is cool, peel the paper side away from the fabric and discard. You will see the fusible left on the wrong side of the fabric. Once the cutting is complete, simply lift your applique out of the fabric. The spatula makes this a little easier as you don't have to try and dig in their with your nails, it just slides right under the applique and lifts it out. And you have it, one perfect applique, which just so happens to be the letter K :) Now just rinse and repeat until you have all your desired applique. Once you have all your applique, you are ready to move to the ironing board. (Seriously, is that not the cutest applique!) Lay the applique onto your project surface until you have it just right. I like to use my quilting rulers to help me line up everything during this part. Once it is perfect, just give it a press. The fusible web on the wrong side of the fabric will adhere it to the project surface. Easy!! Now just finish it up by secure stitching around all the raw edges of your applique. I am partial to the blanket stitch but you can use a zig-zag, satin stitch, or raw edge. Whatever your preference. So what do you have to do to enter . . .Easy!! You have two chances to win, and please, leave a separate comment for each. 1 - Leave a comment here of of what Fabric Design Card you would choose to go with your Starter Kit. So many to choose from, have fun!! 2 - For a bonus entry, Like Slice on Facebook and the leave a comment here that you did so. And that's it. Like I said, easy :) The giveaway will close on Wednesday the 14th and I will announce a winner shortly after. Thanks for stopping by and have a Happy Quilting Day!!! I think I would have to choose Millnery - just because it (a) has an alphabet and (b) looks like it could be layered with endless possibilities. Thanks for a great giveaway. I would choose Heartland because I like that font the best. I can really see using this a lot. Thanks so much for the chance to win. I would like 'this the season' since I hope to start my Christmas items soon. Thank you for the chance to win! I would choose Little One since I love making baby quilts. Thanks for showing how the Slice works and thanks for the chance to win. It looks so fun! Oh, Vintage Seasons looks fun, thank you for hosting. Oh I would have to chose the urban Kid design. thanks for the opportunity of winning such a fab prize.. I have also liked on facebook. I think I'd go with Heartland - what a great font! And a great, useful gadget! Thanks for the giveaway! I adore the Monster! card - what a great giveaway!! Wow, this is a great product that I did not know about. I love Sweet Dreams as a starter but there are so many more fun ones. I would love to win this. Thanks for the chance! I liked Slice products on FB. Thanks for showing how this works! I've seen it but didn't know how it really worked. I'd choose Critter Frenzy. Thanks so much! I like butterflies so Urban Kid would be my choice. The new Tea Party would be my starting point. Lots of ideas forming already! I've seen the Slice around, but never really understood what it was. Looks like a great tool! I like the "Catch a Wave" card - it has the prettiest alphabet and nautical designs. I like the Monster card!!! I have a Slice and you remind me I should get it out more, the secret garden card looks like one I should scout for! Millinery looks like the most useful card. What a fun machine! Thanks for the chance. I liked Slice on facebbok a while back and have been following them their. Thank you for the chacne to enter. I have been drooling over these for a long time. I like the Monster card. Thanks for the give away! I "liked" Slice on fb! Oh my goodness, I almost wish I didn't read your post. now I need a Slice. I'd choose Champion. Thanks for a chance to win. I liked Slice on Facebook. Wow! What an awesome giveaway! It is really hard to choose a favorite design card but I think I would choose Holly Jolly since I love crafting so much at Christmas time. I hope I am a lucky winner! Thanks for the chance to win! What an awesome gadget! I would LOVE to have one of those. There are so many design cards I like...Cabin fever, Monster, Wet N Wild, Mystery Hollow, Tis the Season! I love the alphabet in Cabin Fever...and the monsters are so cute! Love the monsters, well lots of them really , but would have to have the "sweet dreams" one to start with! So adorable & has an alphabet! I'd choose Sweet Dreams. Thanks for the giveaway! This would be a time saver. Little one would be nice for all toes baby quilts. I think I would like Spring has Sprung! Thanks for the opp! I'd have to pick Catch a Wave... this is so cute - I've never done much appliqué, it kinda scares me. You made it look easy though! I would choose the Millinery, the flowers look so sweet. Thanks for the chance to win. I would pick the Monster Card! Its too cute, and perfect for a boy! I would choose millinery. It has some nice basic shapes and I think they would be very useful. I'm having a hard time choosing between the Millinery and Cabin Fever, but I think I would choose Cabin Fever. I love the tree and leaf shapes! Lots to choose from!! I think I would choose Sweet Dreams. Thanks! I would pick the alphabet! What a cool device! Thanks for a chance to win. I like a LOT of those design cards. If I have to choose just one, I would choose Millinery because it looks so versatile. It is way to hard to device (I see why you collect them!) But I like vintage seasons or little ones or the monsters... who am I nodding I would start collecting them too! I would have to go with Cabin Fever. It looks really fun! Those are fun and I like the idea of cutting alphabets for quilts, those are the hardest to do in fun fonts. I like the cabin fever, has fun fonts, and you can do a camping quilt or ones for kids. I would choose the monsters because I'm always struggling to make boy quilts. Those would look really cute on quilts for boys. Thanks for the chance to win. I now like the Slice Facebook page. THanks again for the chance to win. I would probably go with Paris Apartment or Secret Garden. This is so cool! I think I would start with "Little One" and probably end up collecting them the way you do! Thanks for the opportunity to win one! I think I would like the Tis the season card. What a super fabulous giveaway. Crossing my fingers, toes & eyes on this one. Boy could I use this...My cutting out by hand for appliques is terriable. I just "liked" Slice on FB! I would take that Secret Garden one in a heartbeat!! Looks awesome. I would want the Secret Garden card! This is an awesome giveaway! Wow hard choice! I'd go with animal frenzy! Thank you for the chance to win such an awesome tool!! What a neat tool! I would choose Catch a Wave. I am following them on FB. Oh my... Mystery Hollow would be mine! So many options for my Halloween loving friends! I had heard of Slice but didn't know much about it. Now I think I need one. I would choose the Animal Frenzy card to add some cute things to baby quilts. I love the "Wet and Wild" cartridge. Actually I love many of them and had a hard time choosing. I love appliqué and would so love to win this! Wow! This looks fabulous!! ... I would have to choose Knick Knack, though there are sooo many cute ones I'd definitely end up like you if I had one of these gadgets - LOADS of cards!!! :) Looking forward to seeing what you do with this cute banner!!! I "Liked" Slice on Facebook too since they didn't have a "Love" button. I have heard of the slice machine before and briefly looked into them back a few years ago. I really liked it but just didn't have it in my budget. I think I would start with Heartland if I was the lucky winner. Thanks! Already liked Slice on FB! WOW! Nice!! Love to have one! I like the Monster card! I have 4 little grandsons!!! Too Cute! I have "liked" Slice on FB for a long time. Love mine. If I win this one it will go to my granddaughter who is just getting into crafts. Thanks. This is a great machine for personalizing quilts! Thanks for the chance. I would like the Wet and Wild design card. I don't have a lot of designs like that. It would well on my greeting cards. I would choose the millinery! These would be fun! Wow! Slice looks like a wonderful tool for applique, Melissa. Thanks so much for introducing me to it with your tutorial. I'm loving the Secret Garden design card. Thanks for the chance to win! I would choose tis the season. I would pick the catch a wave design card, very cute! I've been eyeing the 'wet and wild' card!!! There are so many great ones out there it is a hard choice! Thanks for the chance! Wow! The Slice looks like a lot of fun. I would chose Heartland. I like Slice Craft on facebook, thanks for the chance to win! Catch a wave! Love the fonts in it and the designs. Fingers crossed I win it! Oh, I love the look of applique, but I hate cutting out all the pieces. Especially alphabets! I think I'd have to choose the Sweet Dreams design card, but oh! I wouldn't stop there!! I like Slice on facebook. This would be fabulous for my Quilting Adventure! I'm a newbie to the quilting world and what a way to start it if I won! This looks like so much fun! I'd probably pick Sweet Dreams or Tis the Season since I like to applique mostly for babies or Christmas. However, the Sunbonnet Sue and Cabin Fever look great too! I have 5 boys so I probably could get a lot of use from Cabin Fever. Thanks for the tutorial and for offering this giveaway! I liked Slice on Facebook. Thanks! I definitely would choose Tea Party in honor of my Grand daughters. I already like Slice on FB. I love the Catch a Wave card! My family SCUBA dives and I could make an awesome SCUBA themed quilt with that card. Although it is hard to choose, I think I would pick Heartland. Thank you for the chance! I already liked slice on facebook and the card I would chose if I won would either be monsters or wet and wild. all the cards are really cute it was hard to narrow it down! I already like Slice on Facebook. Thanks for the opportunity to win this! I liked Slice on Facebook. Thanks so much for the chance. I already "like" slice. I like the sports one that you are showing. Many to choose ... right now it would be Urban Kid card, but I also really like Heartland. I also liked on FB. Would be great if they made a software with which we could make our own designs and design cards. i would pick any card that has hockey art. Would really love any of them though. I'm thinking the Heartland card for me.Thanks! I also have like Slice Crafts, since I first saw you blogging about it. I would choose either Cabin Fever or Secret Garden. I am going to make a quilt with cherry applique and the ones on Secret Garden would be perfect! I alreadly like Slice on Facebook. I too am impressed by the Secret Garden, but Baltimore Beauty is an easy way to complete a classic....so is the Sunbonnet Sue! I like Slice on Facebook! I would love the Holly Jolly design card. I sure like that snowman. This is such a wonderful giveaway. And thank you for showing how to use the fusible web...it helps to know that you are cutting on the right side of fabric. The Sizzix is on my wish list so I would love to win this one. I would choose between Baltimore Beauty (because I have been wanting to start one), Heartland and Critter Jamboree. I may have to go with Critter Jamboree. The would make precious baby/toddler quilts. WOW - I didn't really understand what the Slice machine was or what it could do until I read this post - WOWZA! Now I might have to put one on the wish list! IF I were to get one/win one, I would want to get the "Tis the Season" Design Card - I like the shapes and designs on it and would want to make some Christmas ornaments with it! I have liked Slice on Facebook. Thanks for sharing this - I didn't really understand how these machines worked. Very cool! I'd love to give it a try! I would choose Wet and Wild for this fab machine. What a great prize. Oh, this looks wonderful! I love words on quilts and would love using an alphabet die...and numbers too :-) Thank you for the sweet giveaway! This is the first time I have heard of Slice. I liked the critter jamboree the best. What a fun item to win. I think I would pick the Secret Garden set for my favorite. I would love the "secret garden". Thank you. I like Slice on Facebook and would love to win one! I would love to have a Sunbonnet Sue. I actually purchased my Slice but have not used it yet. This can be my encouragement to try it. Thanks. I love the Catch a Wave! Thank you for this chance to win the very cool Slice machine! Hi! Wow! I had never heard of Slice before! How neat! 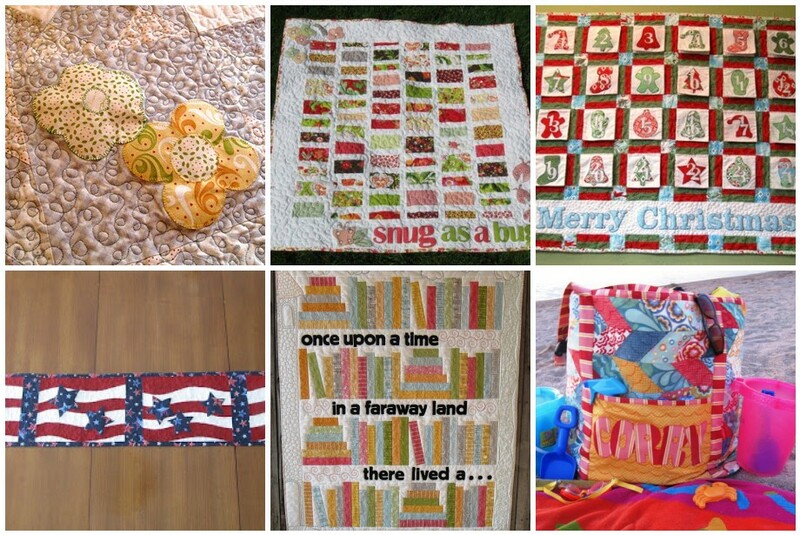 If I win, I would like the Heartland or Sunbonnet Sue Fabric Design Card. Of course, then I would have to gradually collect them all! LOL Thank you for the chance to win! This is fun! Vintage seasons looks like a good one to start with! I like Slice of FB too! Hi! It's me again! LOL I went and liked Slice on fb. Good luck to everyone! Ooo... Thanks for the chance to win. I think the design card I like at the moment is Catch a Wave. Just so many cute sea animals. I also went ahead and liked Slice on Facebook. Wet and Wild, totally, weee! I liked Slice on FB. Thanks!! Oh, my! Now that I see how easy Slice is to use, I may have to get one! I do love the Secret Garden and would definately use the alphabets! Holly Jolly, Heartland, or Secret Garden. How do you choose just one? Thanks for the chance to win! I would definitely begin with an alphabet card. I'd have to get Champion! I have two little boys who loves sports. I would choose the "Catch a Wave" card. I like basic shapes 2 or playground! Thanks for the chance to win!